Online courses are everywhere these days, and for good reason; college tuition is outrageous, each individual learns at his or her own pace, and there are plenty of experts willing to make their knowledge available to you using the same tools that you’re exposed to in a university classroom. I learned to code entirely online. Since I’ve picked up this skill set, I haven’t made much use of my bachelor’s degree in film. But, I’ve somehow made a living for myself that far exceeds what I’d be capable of using only my formal training. There is certainly no shortage of WordPress LMS plugins and platforms to run a course online. I can think of at least 10 different ones just off the top of my head. 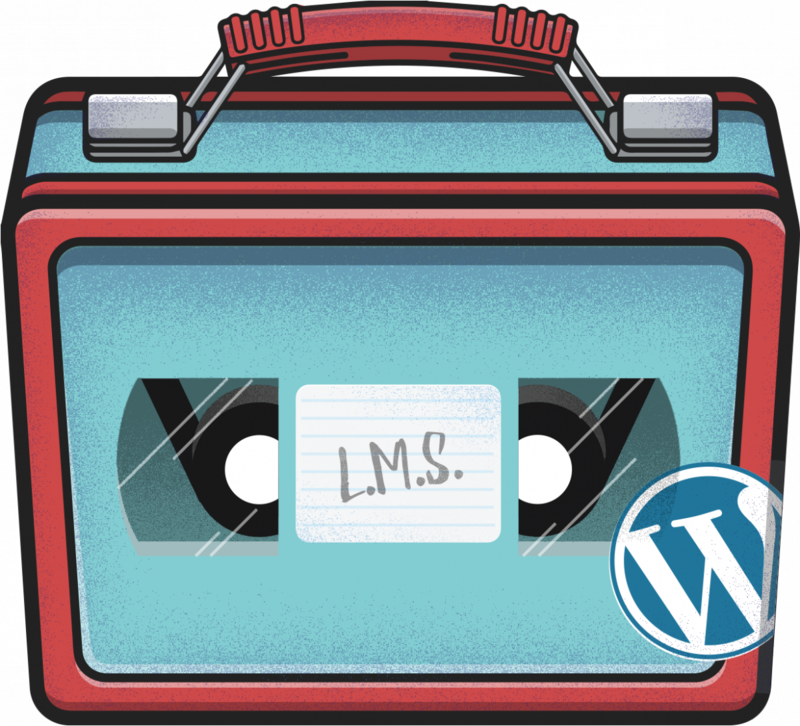 But, I decided to build Lunchbox, my own video course plugin for WordPress, anyway. Here’s why. Trends of online learning are only going to continue to rise. Immediate access to learning how to do anything that you want is always going to win. I also love to teach, so I wanted to have a tool available to me that would make it easy to present my material in the best way that I see fit. I often talk about building stuff that you’d use and making sure that the projects that you are working on fit your personal goals. I think that having an educational tool as my main project falls in line with my passion for lifelong teaching and learning. The WordPress ecosystem has a lot of competition in the LMS plugin space. However, many of the available options present lessons as a static article, leaving it up to the teacher to design their lesson and providing few additions for an effective learning experience. I believe that video is a very powerful medium for learning and teaching, and I wanted a platform that treated it that way. Auto-advancing lessons which are marked as complete when the video ends. A full-screen video player, akin to what you would see on Netflix or Amazon. Looks cool. When did this launch? Our lessons consist of 12-20 videos. We essentially have Courses, comprised of Weekly Lessons, Comprised of topical videos. I am using SENSEI + Vimeography Pro. Our site will roll-out later this month.